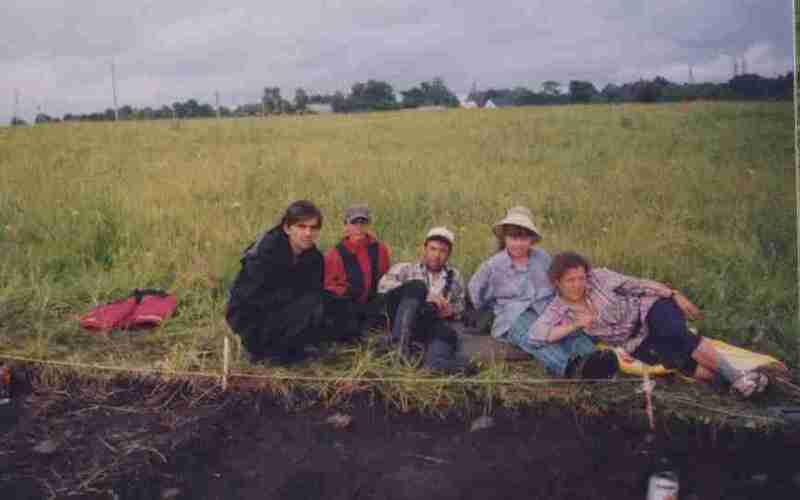 Our expedition began the excavations on the site in 1998 and every year some 20-30 persons from St.Petersburg, its area and also from all over the world (USA, Holland) go there to have 2-3 week excavations. We live in the tents just near the site, there is also a very nice lake nearby. There are two ways of accommodation: 1. To live in the camp near the settle-ment; 2. 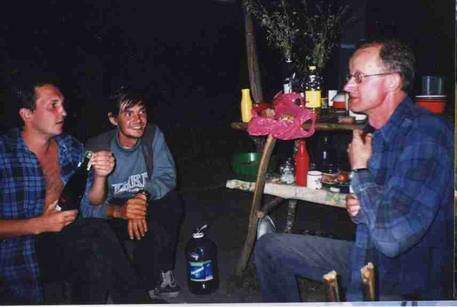 To live in small hotel (only in Tesovo region). For the first one You need a sleeping pocket and a tent and for the second You need to pay about 4-5 EUR a day. The site is in the wood very close (50 km) to St.Petersburg, but in a really wild place (3 km far from the villages). There is a settlement appeared in XIV c. AD. The area is full of small hills ("shapki" means "hats" in Russian) and in XV c. a stone church had appeared there built by a Novgorod nobleman. But then, in late XVIth c. the church was destroyed and the place became wast. We had small archaeological experience on the site in 1999 and 2000. During them the ruins of the church and the remains of nearby settlement were founded. 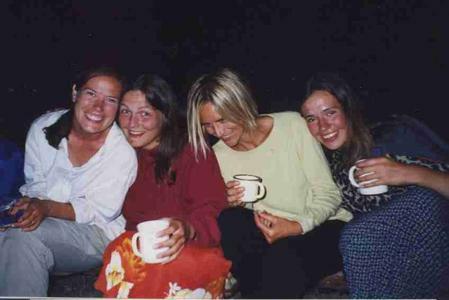 Our main aim in 2003 is to continue researching the settlement. There in Shapki, there will be a camp, so the participants must live in tents. Main participants of the expeditions are St.Petersburg researchers (head of the expedition, laborants), also undergraduate students of St.Petersburg University. Everytime the pupils of 14-17 years of secondary schools of Leningradskaja oblast' also take part in the expedition. The last condition is by all means neces-sary because it makes our expedition a socially oriented and the municipial ad-ministration supports us in accommodation and meals. The whole number of participants is about 15-20. Unfortunately, Our Institute can not pay anything to the volunteers. You are to come to Russia by Your own and pay about 60 EUR for a week. If You can advice us a source or a foundation to compensate Your expenses we will be very glad.